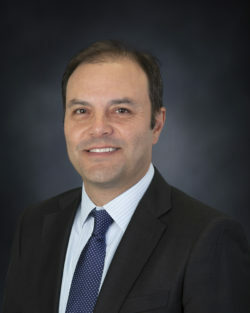 March 18, 2019 – Houston, Texas – Oceaneering International, Inc., is pleased to announce that Carlos Millan, Manager of Business Development-Americas, has been elected as Vice Chair of the MHI Automated Guided Vehicle Systems (AGVS) Industry Group. Millan will support the current chair and promote AGV technology to an expansive customer base through a mutual effort with group members. Regular meetings will be held to discuss standards for design, performance, and safe operation of AGV systems. MHI is the nation’s largest material handling, logistics and supply chain association, with over 800 members and 17 specialized industry groups. It is the sponsor of the ProMAT and MODEX trade shows and provides educational, networking, business development, and solution sourcing opportunities to its members. The AGVS Industry Group consists of the world’s leading suppliers of AGV systems to every major manufacturing and distribution sector.